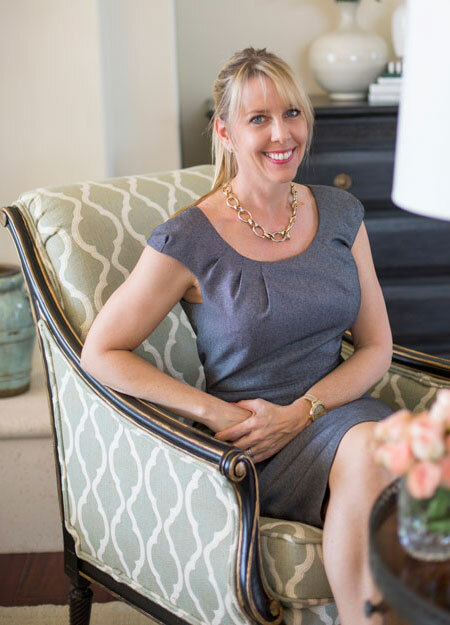 Constance (Connie) Riik, is an award winning interior designer, and blogger, based in Ponte Vedra Beach, Fl. She has had a passion for interior design for as long as she can remember; observing spaces and developing an eye and a keen awareness for what “works”, both functionally and aesthetically. She brings her intuitive ability with color, scale, balance and proportion as well as her understanding of space (planning) and functionality to each project. Avoiding a specific and repeated “look”, her goal for each project is to create something unique and special for her clients; taking into consideration their lifestyle, interests and taste. Her portfolio reflects this special attention to her clients. Interior design is Connie's second career, after a very successful one in mortgage banking. After the birth of her second child, now a teen , she decided to pursue her lifelong passion for interior design and began by earning her interior design degree at Florida State College at Jacksonville, graduating with honors. Connie combines her passion for design and her natural talent, with her education and high standards of professionalism to insure results for each project that exceed her client’s expectations. She is an active member of the (ASID) American Society of Interior Designers and has served two terms as the President of the Florida North Chapter as well as one term as the Communications Director. She is currently serving as Community Outreach chair for the ASID Florida North Chapter. In addition to managing CSR Interiors and her projects, Connie enjoys sharing her love of design and things she finds inspirational, through her blog.